My mum has Arthritis that kept her indoors for three months. 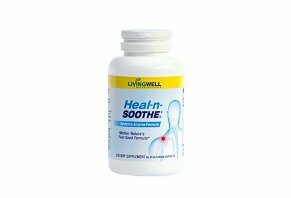 I read about Heal-n-Soothe online and I thought of buying for my mum. I made an order from Nigeria on February 25th, I was debited, but I have not seen the drugs yet, it has not been delivered. On March 25th I was debited tripled the previous amount. I was asked to block my account so it won't occur again. I refused. I said let me call back the institute for a refund. I did and no one picked all my call until I got exhausted. Please, I need a cancellation and I need my money refunded. Have mercy on the mercies and stop extorting money from the poor, it was out of pity I raised that money to get that drug and I have not seen it, yet I got debited twice.